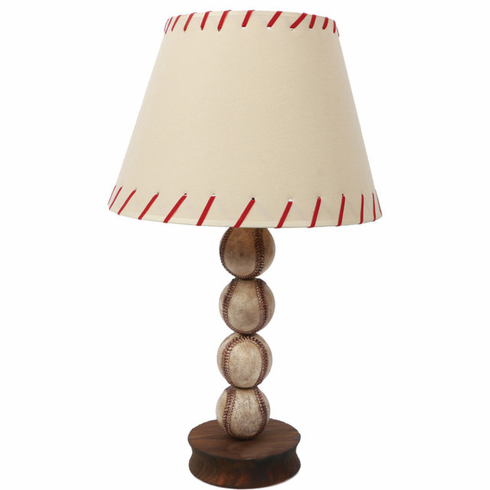 This 23" baseball lamp is perfect for any baseball or sports room. Four hard plastic baseballs which actually look like real baseballs stand above the round wooden base which measures appx. 1.5" tall x 6" diameter. Shade with red stitches is included.